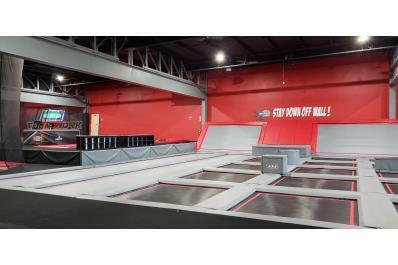 This 20,000 square foot indoor trampoline and ninja challenge park features obstacle courses for all ages, a video arcade, massage chairs, a smoothie bar and more. This attraction is fun for visitors of all ages and skill levels under one roof! Description 3 party rooms available for birthdays, corporate events, etc.